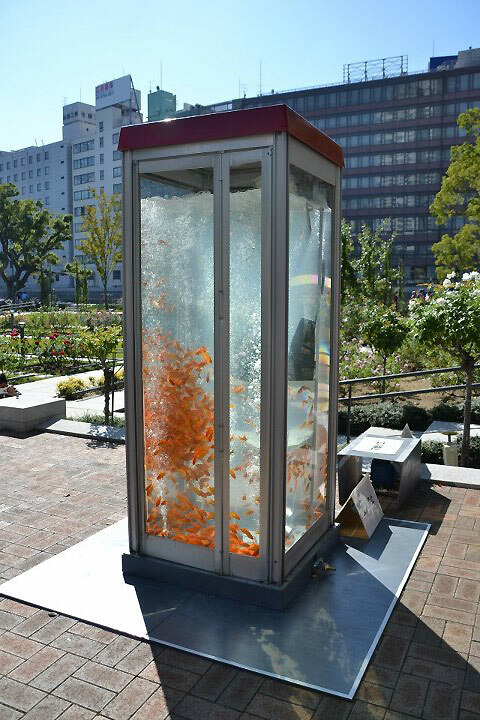 Goldfish in Japan is considered to be the symbol of happiness, luck and prosperity therefore many people praise them and feel well being around them. 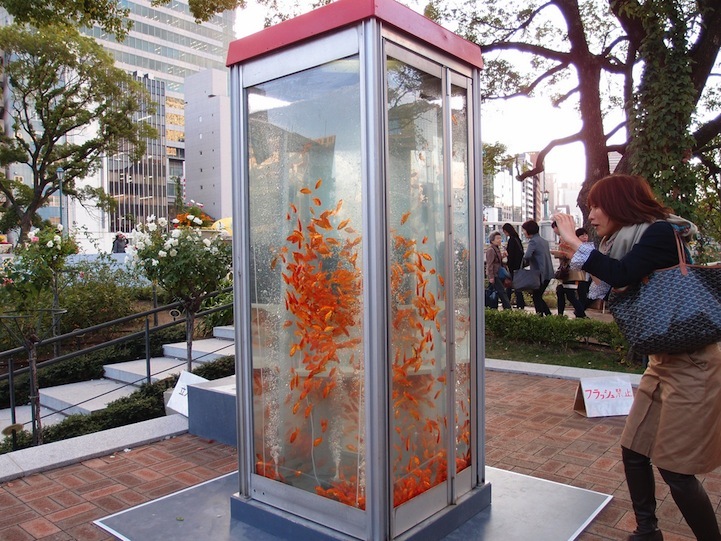 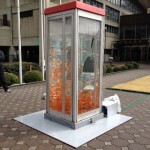 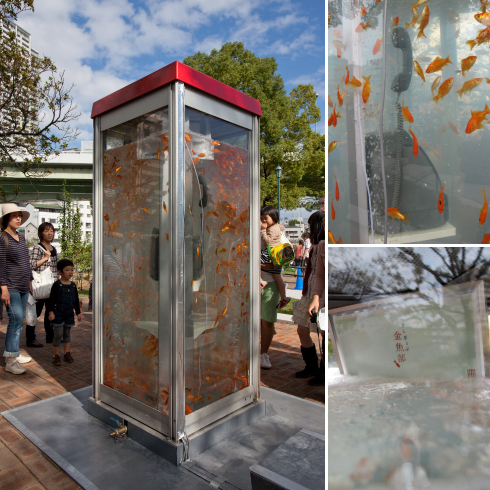 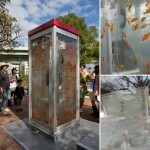 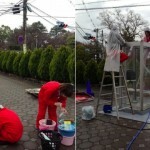 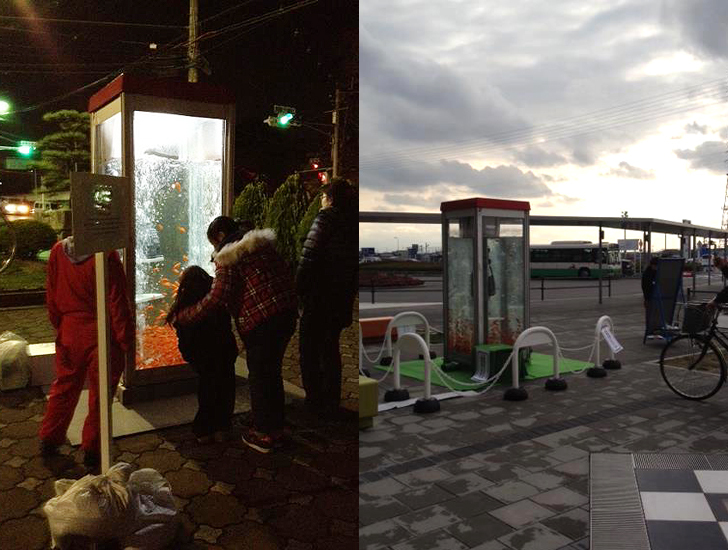 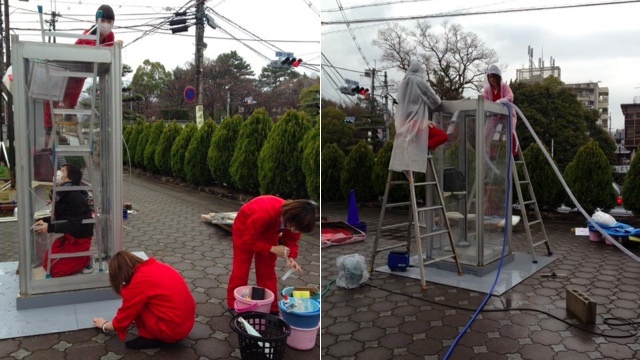 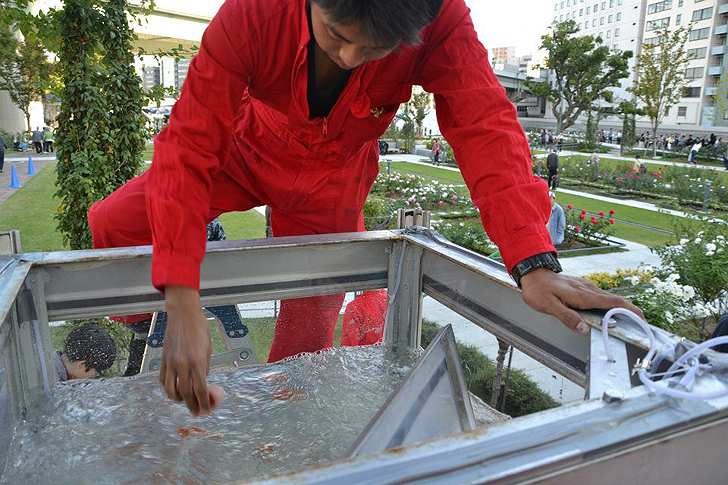 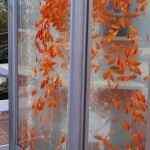 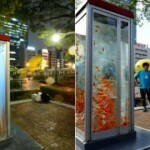 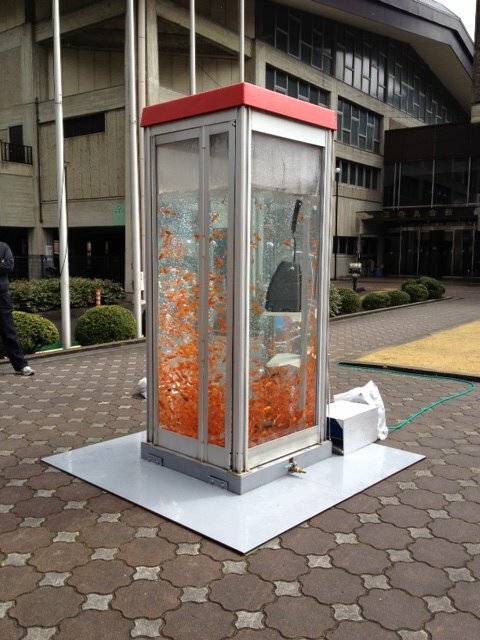 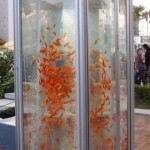 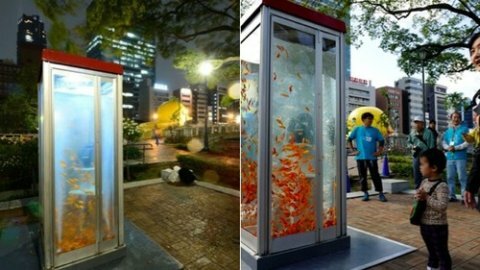 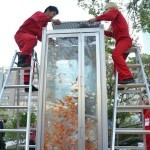 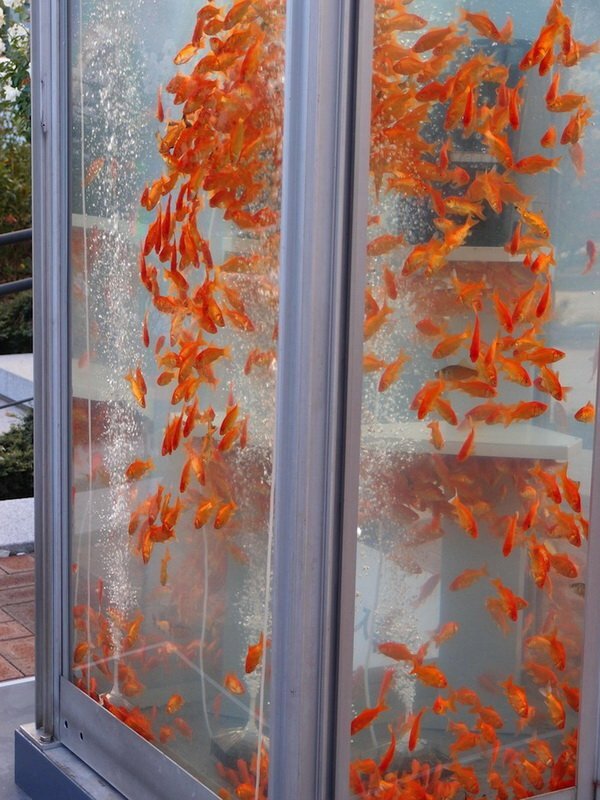 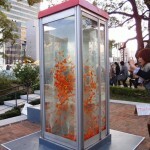 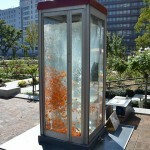 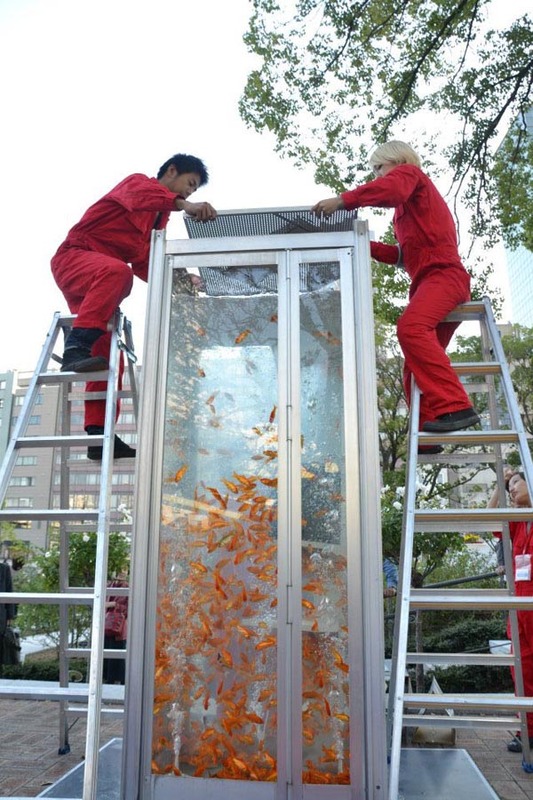 A team from the Kyoto University of Art & Design in Japan called Kingyobu(which means “goldfish club” in English) accomplished a quite interesting project where they took over unused phone booths found in Osaka streets and converted them into fish tanks full of goldfish. 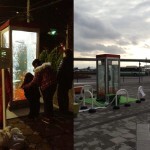 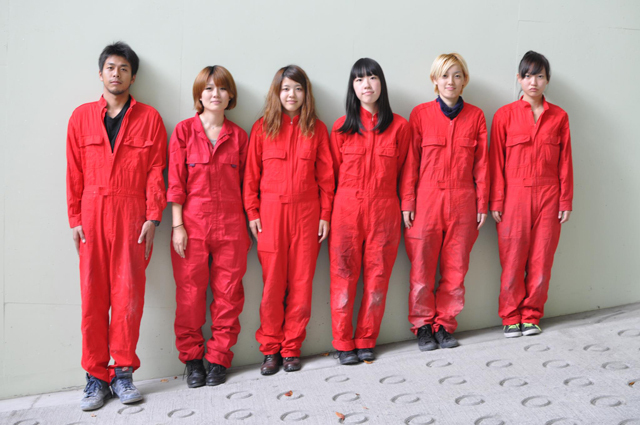 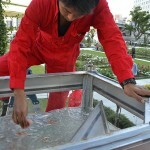 Instantly those installments got locals attention turning them into popular attraction across Osaka city.